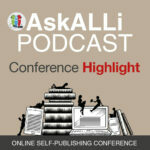 This seminar from author AG Billig is from our Self-Publishing Advice Conference. Literary history abounds in authors who wrote books that stood the test of time. Nowadays, some successful authors launch book after book after book, and never seem to be out of ideas or inspiration. What do they have in common? They are authentic, go beyond the limits of their mind, and don’t question their worth as writers, and their success. They follow their inner compass, enjoy the process of writing, and are happy to offer their gift to the world. If they can do it, you can do it. In this session, you will learn all about their tricks. You will be given practical tools and exercises that will help you to keep your creative juice flowing so that you never have to face writer’s block again. Overcome self-imposed limitations and beliefs regarding your success as a writer, Learn how to use your five senses (and the sixth one, too) to find inspiration on the spot, Enjoy the process of writing (even when it feels lonely).